Professor Joshua Dickson is Head of Traditional Music at the Royal Conservatoire of Scotland. Born and raised in Alaska, he arrived in Scotland in 1992 to study Scottish Gaelic at the University of Aberdeen (MA, 1996). He then undertook doctoral research in the history of the piping tradition of the southern Outer Hebrides at the School of Scottish Studies, University of Edinburgh (PhD, 2001), now published under the title When Piping Was Strong: Tradition, Change and the Bagpipe in South Uist (John Donald, 2006). He has performed publicly in the contemporary Gaelic music scene with Na Trì Seudan and in Allan MacDonald’s award-winning 2004 Edinburgh Festival recital series, From Battlelines to Barlines. He has also taught at Ceòlas and for Feis Arrainn. His ground-breaking anthology of piping studies, The Highland Bagpipe: Music, History, Tradition , is published by Ashgate under its Popular & Folk Music imprint (2009). His more recent published work has brought to light the role of women in the inheritance and transmission of traditional Gaelic canntaireachd in Hebridean life via the journals Scottish Studies and Review of Scottish Culture (2013). He is currently concerned with leading ground-breaking curricular reform which has helped position Scotland’s national conservatoire as distinctive in the UK and wider Europe in the field of tertiary-level traditional music education. In this capacity he is the lead academic and director of the Pedagogies, Practices and the Future of Folk Music in Higher Education international conference in partnership with the world-renowned Celtic Connections Festival, Glasgow, January 2018. ‘Further Evidence of the Pibroch Echo Beat’s Basis in Gaelic Song’ in Graham Hair and Morag Grant (eds) Proceedings of the Musica Scotica Conference 2015. 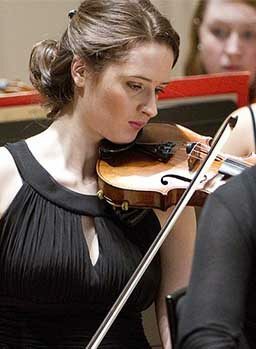 Edinburgh: Musica Scotica Trust. 2018 ‘The changing nature of conceptualisation and authenticity among Scottish traditional musicians: traditional music, conservatoire education and the case for post-revivalism’ in Simon McKerrell and Gary West (eds), Understanding Scotland Musically: Folk, Tradition, Modernity. Aldershot: Informa (forthcoming). ‘Piping Sung: Women, Canntaireachd and the Role of Tradition-Bearer’ in Scottish Studies 36: 45-65. 2013 ‘Music Will Out: the Canntaireachd of Mary Ann Lindsay’ in Review of Scottish Culture 25: 146-54. 2012 ‘Pipe Music of the Clan MacLean by Lieutenant Colonel Donald MacLean and James Beaton’. Review, Piping Today 61: 29. 2012 ‘Orality and Literacy as Interdependent Cultures: Remarks on the Development of Graded and Tertiary Syllabuses in Scottish Traditional Music’. Paper presented to the Symposium on Cross-Cultural Musical Encounters, Centre for Intercultural Musicology at Churchill College, University of Cambridge, available on www.cimacc.org. 2012 With Celia Duffy: ‘Take it in, not to heart: making expectations of collaborative learning explicit’ in Helena Gaunt (ed) Collaborative Learning in Higher Education: Why, What and How?. Aldershot: Ashgate, pp. 205-11. 2009 ‘Tullochgorm transformed: a case study in revivalism and the Highland pipe’ in J. Dickson (ed) The Highland Bagpipe: Music, History, Tradition. Aldershot: Ashgate, pp. 191-219. 2009 ‘Canntaireachd’ in Tocher 59, Edinburgh: Dept of Celtic and Scottish Studies. 2007 With J Decker Forrest: ‘Piping in South Uist and Benbecula: a research journal, 21-27 November 2006’ in three parts, Piping Today 28-30. 2007 ‘Traditional Gaelic Bagpiping: 1745 – 1945 by John G Gibson’. Review, Scottish Studies 34. 2012-2015 External Examiner for Undergraduate Music Degrees, Centre for International Music Studies, University of Newcastle. Convener of Examination Committee for PhD candidate Bethany Whiteside, ‘The Hidden Dancers: a Sociological Analysis of Participatory Dance Activity and Practice in Glasgow’, Royal Conservatoire of Scotland, 2015. Specialist External Examiner for PhD candidate Éamonn Costello, ‘Sean-nós singing and Oireachtas na Gaeilge: Identity, Romantic Nationalism and the Agency of the Gaeltacht Community Nexus’, University of Limerick, 2015. Overseas Specialist External Examiner for PhD candidate Daniel Milosavljevic, ‘Piobaireachd in New Zealand: Culture, Authenticity and Localisation’, University of Otago, 2014. External Examiner of doctoral studies in progress: PhD candidate Nollaig O Fionghaile, ‘Sunesis: Investigations on an Evolving Aesthetic in Traditional Music’, Dublin Institute of Technology, 2013. Convener of Examination Committee for PhD candidate Lori Watson, ‘The New Traditional School in Scotland: Innovation, Beyond-Tune Composition and a Traditional Musician’s Creative Practice’, Royal Conservatoire of Scotland, 2013.